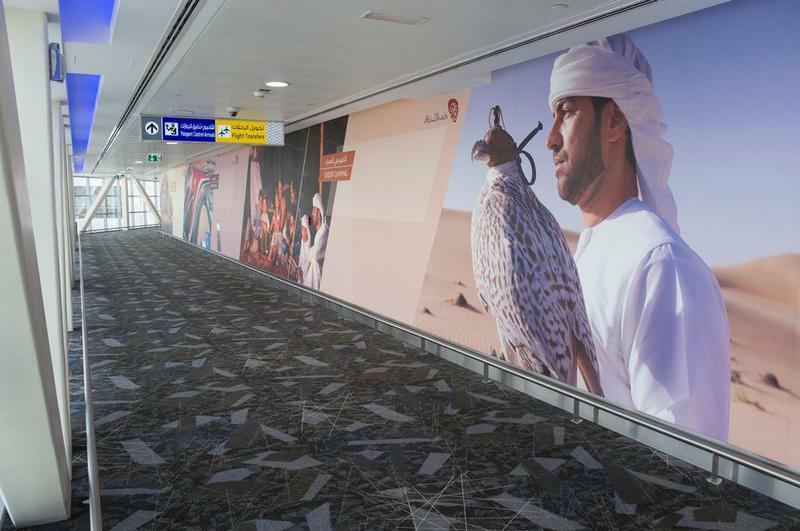 Brintons, has created stunning bespoke carpet tile designs for the prestigious Abu Dhabi International Airport. The designs were inspired by the existing linear decor of the terminal’s interior, combined with the style of the airport’s exterior. The carpets’ unique style reflected the original designs of the airport through its pattern and colour palette. The abstract pattern featured on the carpet tiles was chosen to be in line with the design intention of the segregated building designs. 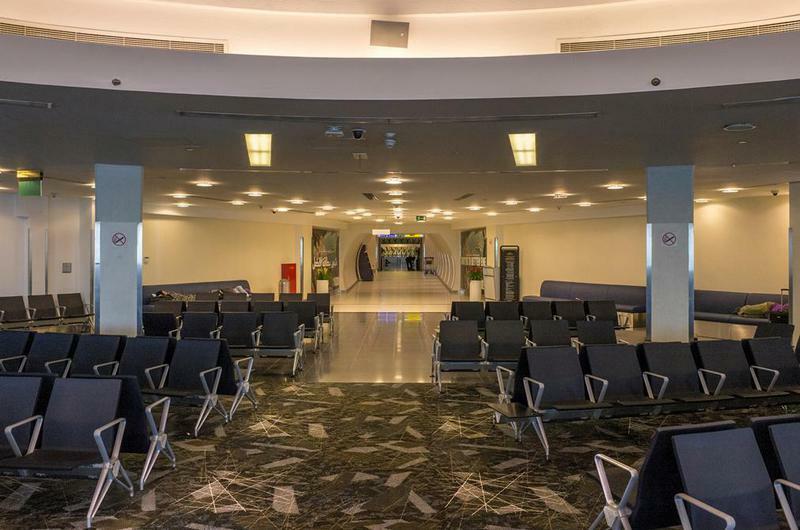 The aim in our interiors was to create a cohesive visual between the exteriors, interiors and aesthetics of the whole airport. The interesting design unites the visuals of the airport, creating a modern and contemporary style that flows throughout the buildings. The beautiful, intricate design of the carpet reflects the vibrant future of Abu Dhabi. 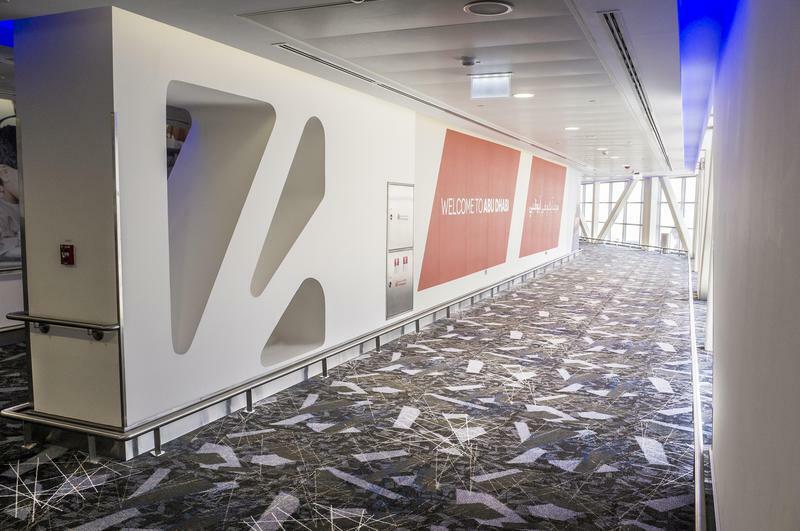 As the airport continues to expand, and the country’s capital alongside it, the dynamic sophistication of the carpet reflects the fast paced future that Abu Dhabi holds. 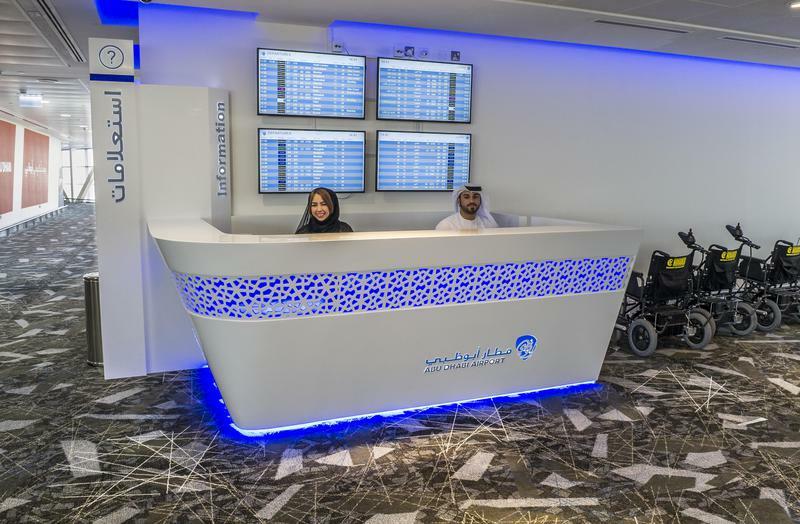 Designs included intricate linear and geometric patterns, including blue, black, white and grey hues, mirroring the airport’s corporate colours and current interiors. Striking white and electric blue lines contrasted against deep blacks and greys to create visually eye-catching walkways throughout the airport, mirroring the vibrant blue lighting that is featured throughout the terminals.